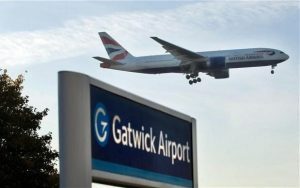 Gatwick is surrounded by businesses wanting to be in close proximity to the international airport. Of course, these guys need their IT systems to be operational at all hours – that’s where Woodstock IT come in. Our IT support services ensure everything is in sync, all the time. Being based just five minutes away in Crawley, we’re ideally located to offer you IT support – from repairs to the set-up and management of essential services – find out more here. If you turn up to work and realise that the important document you were working on yesterday has disappeared, you’re going to wish it had been backed up. One of our main responsibilities is to make sure your data is securely saved at all times. If you are running a business, this should be one of your main priorities too. We are dedicated to making sure our customers are 100% happy with all of the IT services that we provide. If we can’t fix it, you don’t have to pay a thing. Here is just a testimonial from one of our many happy customers. We provide 24-hour aviation support services and thanks to timely assistance of Woodstock IT, we had no break in service and more importantly no loss of valuable client data. Their staff are polite, knowledgeable and performed their duties with great efficiency. We would certainly not hesitate to recommend them to other companies in the aviation industry. Like what you see but your business is based elsewhere? There is no need to panic because we spread our services all over Sussex including Worthing, Pulborough, Henfield and others. Gatwick, just outside of Crawley, is most well known for the bustling London Gatwick airport, which flies thousands of people every day to destinations around the world. However, there is more to Gatwick than just the international airport. Manor Royal is a thriving industrial estate just on the doorstep of Gatwick, which is home to some fantastic hotels and companies, along with great leisure and shopping facilities in the surrounding area.